We released our first Xbox game, Agents vs Villain, the 07.11 for North America and most of EU. For us, this is a great milestone and a massive achievement! The reviews and feedback we have received are very positive. We fixed a bug that stopped you from getting the “Kill amount” achievements. If you have played the game and is supposed to get receive them just start up a game and play through a level or go back to the menu and the stats will be correctly updated. This should work even if the achievement stopped updating after passing the kill threshold. We discovered a rare issue that the game would not continue if you ended a boss fight and the Xbox lost connection to live. The “bomb ticking” sound pitch has been nerfed by 50% to make it 70% more comfortable to listen too. The Y-button would not always reset itself when used by Agents during boss fights. Thank you to everyone that has supported us so far! We do have some more news we would love to share in the near future! Yep! The day is finally here. After saying soon at SpillExpo we now launching the 20.10 in Norway. We celebrate that it’s at SpillExpo we became partners with Microsoft so it was fitting to release it here too. You can find us in the Høyskolen Kristiania booth this year. Hope to see you there! The EU and NA release is set to 07.11. Check us out at SpillExpo! Friday the 10th to the 12th of November the Norwegian game expo blasts off. 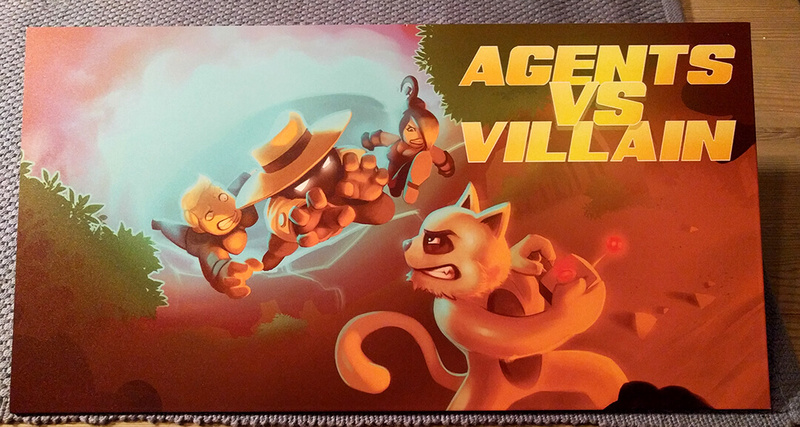 And Process is there with the launch ready version of Agents vs Villian! To celebrate we release our animated trailer. If you are there you will have the chance to win a cool this metal print of our Xbox One art box! We will also give away 10 copies of the game during the expo. All you need to do is to be there and put a trap suggestion in the cat trap suggestion box! We have been selected to showcase Agents vs Villain at Unite 2017 in Melbourne! This is the first time we have been selected for such an event. So drop by and play the game with your friends. Not sure what Agents vs Villain is? Check out this trailer! We are excited to present Agents vs Villain at RTX London the 14. and 15. of October! Hope you will stop by to play and say hi. Bring your friends along and see which one of you is the best Agent or Villain!